I love smocking. Especially in little dresses. This brand caught my eye because of a smock dress I spotted on their website. 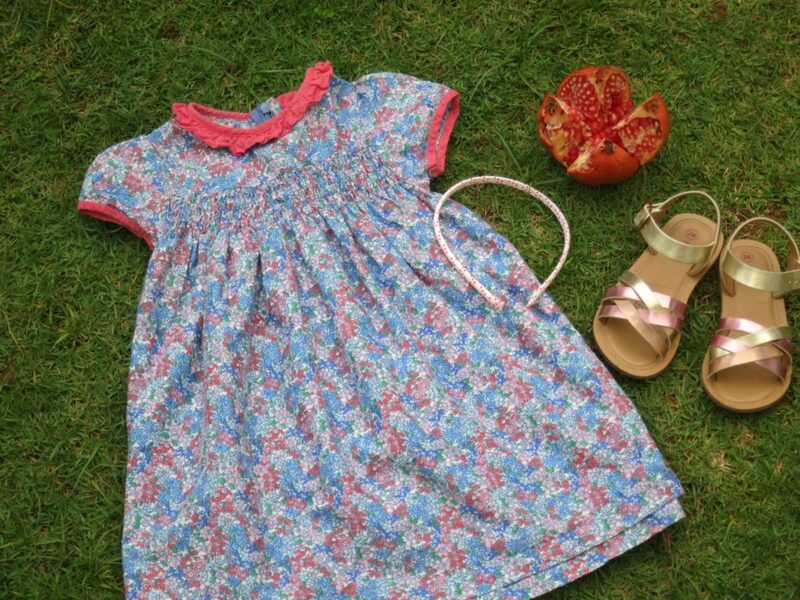 If you’re looking for clothing that is simple, functional and comfortable, check out Delhi based Pluie Kids’s online wardrobe. 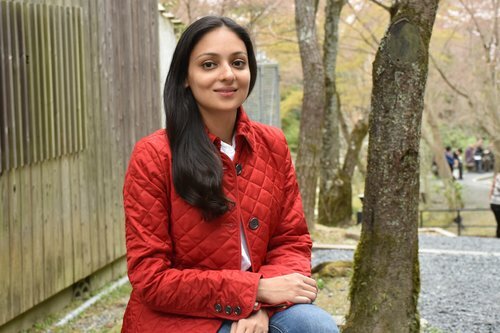 Founder Vasudha and Harleen use a no-frills approach to design clothes that are comfortable for children to play around in. Their clothing spans different styles – gingham prints, denims, smocks and stripes. They retails dresses, shorts, tees, skirts – basically anything that kids like to run around in. Harleen is the creative mind behind all the designs you see at Pluie. She is a design graduate from NIFT Gandhinagar (India), and worked with a few fashion brands before devoting all her efforts to Pluie. Harleen loves to trek, and spend as much time as possible in the hills. Her favourite colours are yellow and black. Vasudha CANNOT follow recipes – even for tea. She admits she can’t make coffee! She likes pink, green and purple. They both love chocolate, tea, trees, zumba, laces and ginghams. 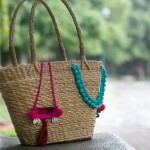 Vasudha’s focus is clothing, but she has also dabbled her hands in stationery, toys, bags and accessories. She also sent me a little brooch that I attached to one of Saira’s little bags. Perfect to be made with leftover fabric. All the inspiration for their clothing is based on their childhood memories – from what their moms used to sew, to sweaters knit by their grandmothers. I liked her little story that she put up on her website. Pluie means ‘rain’ in French and we capture everything that‘s fresh, fun and joyous in childhood. Our jackets have big pockets for storing treasures, dresses and skirts have volume for twirling, and fabrics are soft for rolling on the grass. Speaking of rain, in this sweltering summer heat, I can’t wait for a rainy afternoon!